Find a collection of the best Kenya safari pictures here – photos from the popular Masai Mara National reserve, elephants, Amboseli national park, lions, hot air balloon safaris, Nairobi national park, etc. Above: Zebra in front of an umbrella thorn acacia tree in Masai Mara National Reserve. 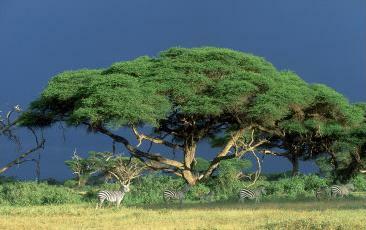 Both zebras and these trees are very common, especially on the savanna. 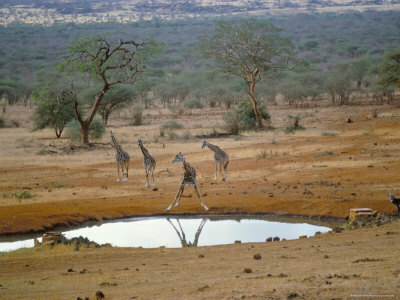 Above: giraffes in the huge Tsavo West National Park, which has some of the most dramatic scenery of all Kenyan national parks. 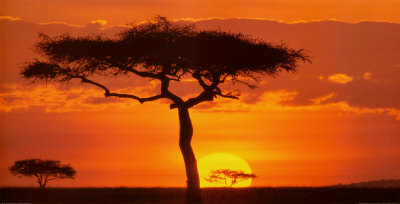 Above: Sunset in Masai Mara National Park, by far the most popular wildlife resort in Kenya. 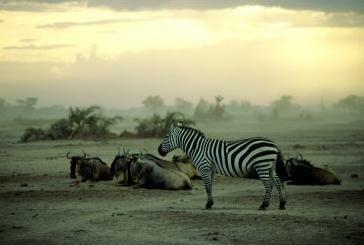 Above: Plains zebra, who are common in the national parks of Kenya. Being grazers, they sometimes trek for hundreds of miles looking for food. 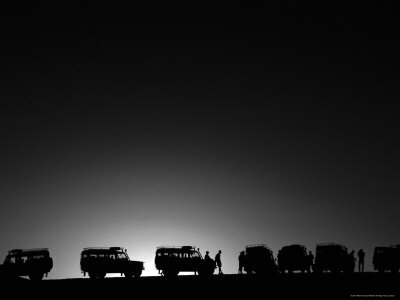 Above: Land rovers on safari. 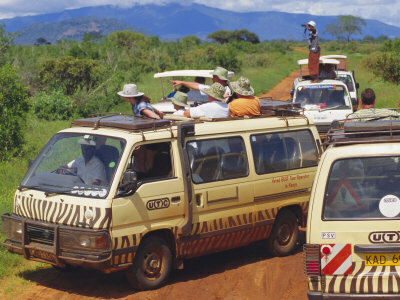 During the dry periods, you can access most Kenyan wildlife parks with any vehicle, also because it’s usually not allowed to leave the tracks. During the rainy periods, however, you’ll often need a 4WD. 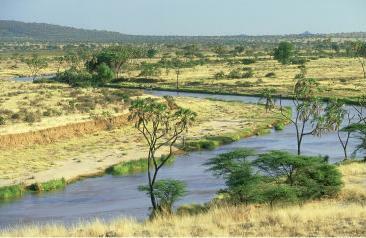 Above: The Ewaso Ngiro river, which forms the southern border of Samburu National Reserve. This park attracts few visitors because of the distance to Nairobi (some 350 kilometers) but is of stunning beauty and tranquility. Above: Most companies use these Nissan minivans for game drives in the parks and reserves. Roofs can be opened or taken off so you won’t have to shoot pictures behind glass, and the van has high air intakes so as not to get too much dust in the vehicle. 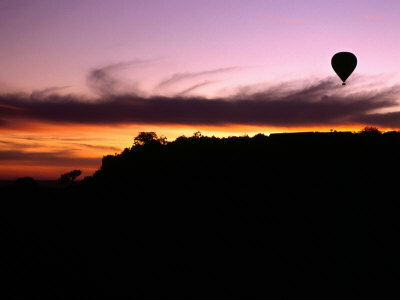 Above: For around $400 you can take a hot air balloon trip over some of the national parks, especially Masai Mara. These trips depart around sunrise and offer spectacular views over the wildlife. 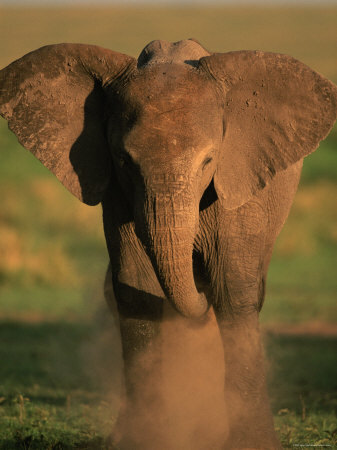 Above: A baby elephant give himself a dust bath in Masai Mara National Reserve. These Kenya safari pictures are provided in association with Allposters.com, who in my view have the best collection of Kenya images available on the internet.